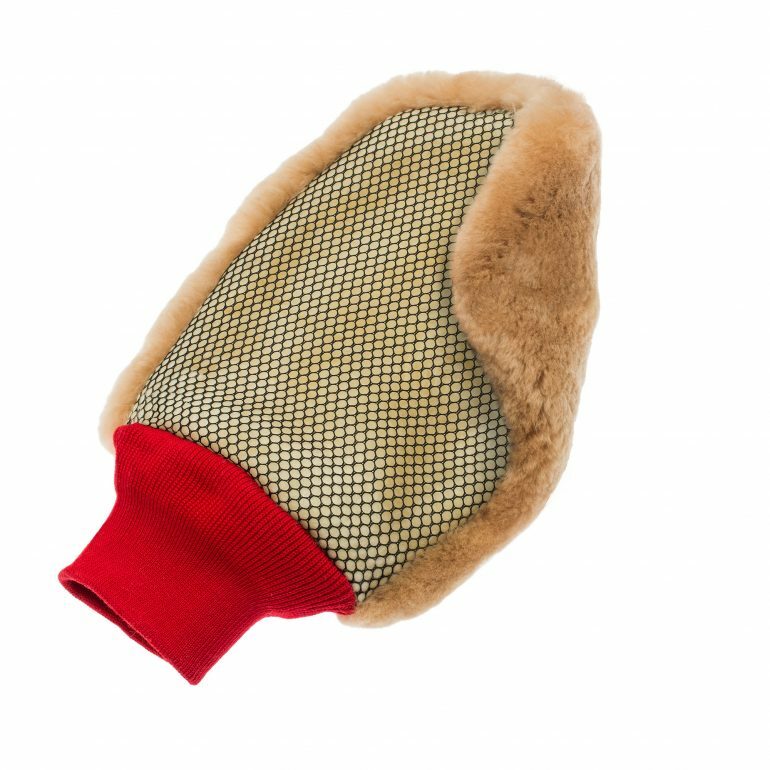 A double sided wash mitt, featuring our supersoft lambskin on one side, and a hard working mesh surface on the other. With protective comfy cotton cuff. Our wash mitts should be used only with a PH neutral shampoo. After use rinse in clean warm water and allow to air dry. Do not machine wash.